Our summer off the floor sales have, in keeping with the weather, been pleasantly feverish so far. I’m always interested to see what’s moving fastest and why. What is the breakdown between handselling, and word of mouth driven sales, which titles have caught fire from face-out display alone? Are there any titles which are not selling as I think justice demands? The answer to all these burning questions lies below. Picture books have been more prone to surprises than other sections. For example, why has Lora Koehler’s The Little Snowplow been selling so well this summer? Did a week of temperatures in the 90’s make people nostalgic for the Maine winter? Surprising but possible. I had absolutely no idea how Greg Gromley’s The Prince and the Pee book would do. Picture books on urinating, however worthy, are somewhat hit and miss. This one has been a hit. 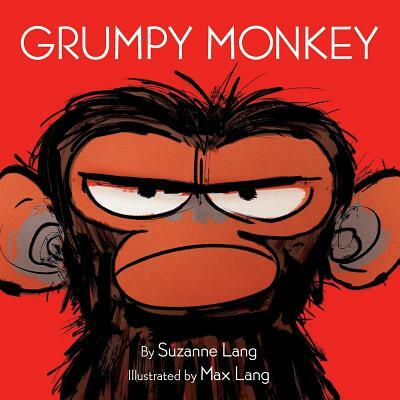 Our top seller though has been the fabulous Grumpy Monkey. We have not needed to handsell it much. It draws customers in like a grumpy tide. People pick it up, open the pages, and take a copy home. It’s always nice to see a terrific book catch on here, purely on its own worth, such as On a Magical Do-Nothing Day by Beatrice Alemagna. A delightfully nuanced tale of a child’s awakening to the wonders of nature should commend itself to our customers. Horton the Elephant would approve. It should be, it should be like that. 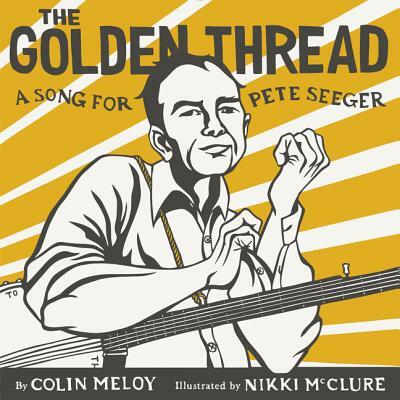 He would also be pleased at our sales of The Golden Thread: A Song for Pete Seeger, the terrific team-up of author (and folk musician) Colin Meloy and artist Nikki McClure. When it comes to board books it is all about Janik Coates’ Llamaphones. Ignorance of its existence is the only excuse for not loving Llamaphones, an ignorance we are committed to reducing here in central Maine. Standouts in chapter books have been a mix of established series books and some handselling favorites. We’ve shown John Dougherty’s new Stink Bomb and Ketchup Face books to many questing families, and they have pounced upon them. Ellen Potter’s Big Foot and Little Foot have been a happy surprise hit, while in the word of mouth department the aptly named Dog Man Unleashed rules. Middle Grade and Young Adult titles have been much more about handselling than word of mouth this summer. 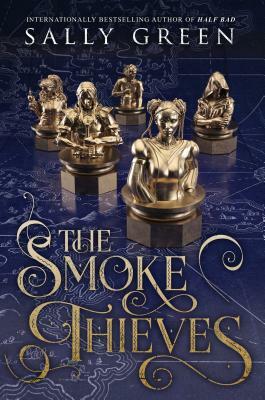 Our top sellers, Derek Landy’s Skulduggery Pleasant, Sally Green’s The Smoke Thieves, Melissa Albert’s The Hazel Wood, Megan Bannen’s The Bird and the Blade, and James Nicols’ The Apprentice Witch are all store favorites. What does all this mean? The happy union of free time and a desire to fill it with a book makes summer the best time to talk books with kids and their adult overlords. Fun! Any surprises at your store? PS: The biggest word of mouth books here have been Everything, Everything by Nicola Yoon and The Lost Continent by Tui Sutherland. Kudos to them. PPS: The book I feel we should have sold more of is Reaper at the Gate. It’s too great not to become a beacon for new readers to start the series. Must remedy. This entry was posted in Uncategorized on July 12, 2018 by Kenny Brechner.